Fitting Fitness In is such a challenge, but our At Home programs offer you the flexibility to get fit on your own time. However, you are not alone! Holly can give you guidance and motivation through phone or Skype calls, motivational articles, healthy recipes, and individual attention to your weekly food and exercise logs using our private Fitting Fitness In app or online. The Programs are doable and effective. Videos of all the exercises are provided. The programs are changed monthly to ensure that you are challenged enough, and that you don’t get bored. If you are motivated to exercise, but need a new and challenging exercise program each month, the At Home Silver – Exercise Program is for you! A healthy recipe emailed weekly. Signup Today for At Home - Silver! You may need a little help with motivation, that is why you can get up to two phone/skype calls each month with Holly to stay on track. 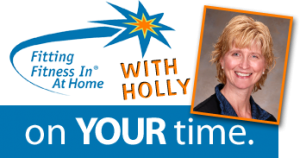 Will a 15 minute check in call with Holly once a month help you stay focused? 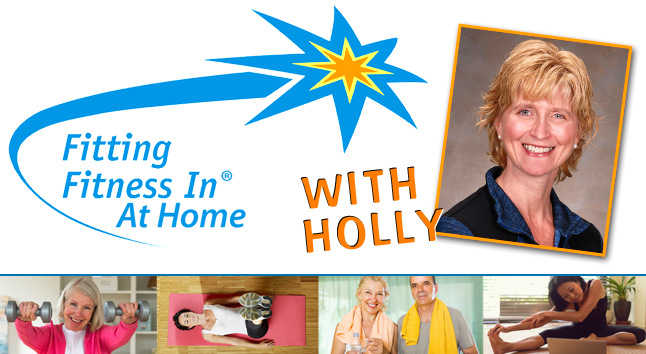 Holly can show you how to recognize and deal with the triggers that send you off track. If you need this extra time, sign up for the Fitting Fitness In At Home Gold Program. Signup Today for At Home - Gold! If you want to lose weight and need consistent motivation to achieve your goals, get two phone or skype calls per month with Holly in the Fitting Fitness In At Home Platinum Program. The monthly cost for At Home – Platinum is $199. Signup Today for At Home - Platinum! Holly helps you to develop strategies for dealing with food temptations, as well as giving you ideas for fitting fitness into your day. Signup Today for At Home - Silver! Signup Today for At Home - Gold! Signup Today for At Home - Platinum!